I wasn’t quite sure what was expected from a predation research student at first; I soon found out it was the ability to laugh at oneself while chest deep in river water surrounded by cows. Between second and third year of my BSc Biology degree I decided to complete a placement year with the Game and Wildlife Conservation Trust (GWCT) as a GIS and Predation Placement Student. I applied before Christmas in my second year and following an interview in January I was offered the position. I was so excited that jumping around with flailing arms was the only acceptable reaction, I told all my friends and then took the dog for a walk to calm down. As September rolled round I was so excited not only to be starting the placement but to be moving out of my family home for the first time (I commuted for my first two years of university). It’s safe to say I arrived with far too much stuff! After a short induction session, the other GIS and Predation students and I were very quickly set on the task of going through thousands of grey squirrel (Sciurus carolinensis) footage at feeding hoppers. We observed whether or not the squirrel was collared and if it used the hopper by lifting the lid and retrieving the maize. Over the course of the winter we also constructed more hoppers for the next round of the trial. On day three of the placement we were immersed into fieldwork by setting live-capture traps to GPS tag some European hedgehogs (Erinaceus europaeus). Hedgehog numbers have declined on farmland and the predation team wanted to observe where hedgehogs on the edges of water meadows foraged. 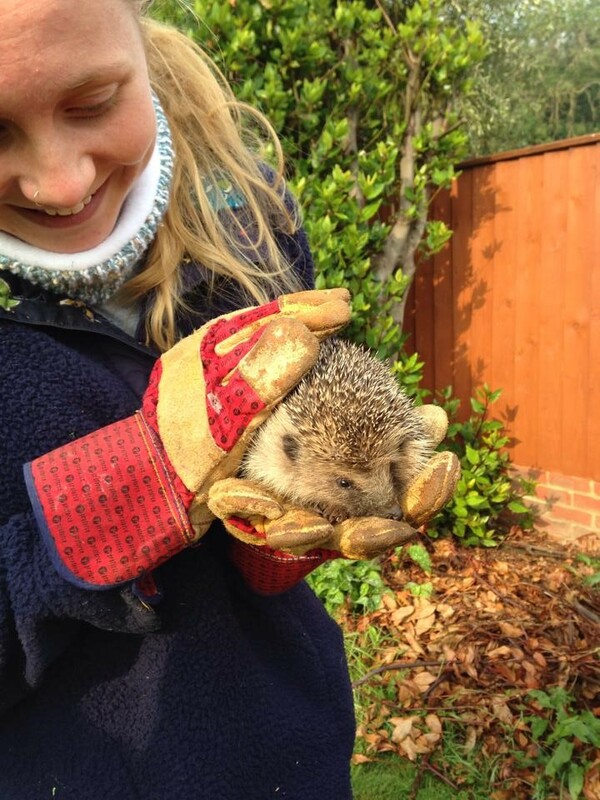 Unfortunately, we didn’t trap anything on the farmland and succumbed to trapping in the local residents’ gardens where hedgehog feeding is a common occurrence. Sure enough after one night of trapping we caught three hedgehogs; one adult male who had been tagged previously and two juveniles. 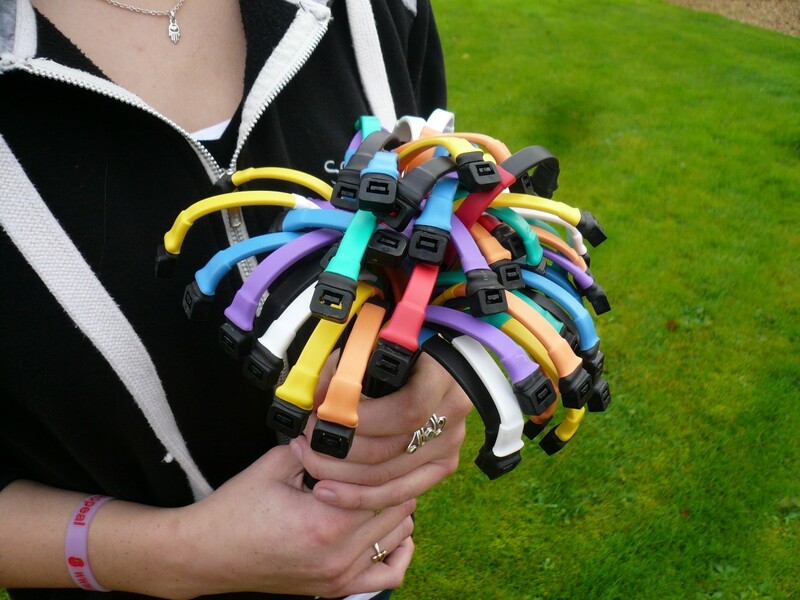 In addition to the GPS tags the hedgehogs were also fitted with colour markers to visually identify the individuals which, as with the squirrels, were seen on cameras or in this case by the house owners. As the winter evenings drew in we started a rat trapping trial to investigate which type of trap would be more efficient at trapping rats in game cover crop. 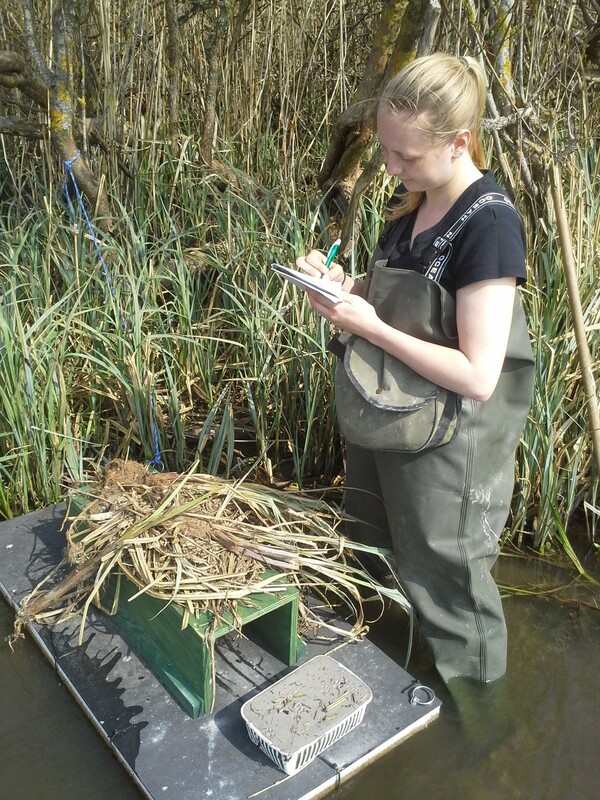 We also used camera traps on the office grounds to observe the behaviour of predators around nest protection baskets that would be used in the Avon Valley Waders for Real project. The success of these baskets was noted on an island with no terrestrial predators, however from our footage it was clear that Red foxes (Vuples vuples), European otter (Lutra lutra), and European badger (Meles meles) were all able to reach in and retrieve the bait, as were Grey heron (Ardea cinerea). The bulk of my individual work with predation (and most of the embarrassing stories) began in the spring with the deployment of mink rafts. Designed by the GWCT, they monitor both American mink (Neovison vison) and Water vole (Arvicola amphibius) tracks. Each week I went out in my two sizes too big chest waders to monitor the activity throughout the Avon Valley and report back to keepers who would try and trap any mink present in the area. The purpose of this was to increase the breeding success of the Northern lapwing (Vanellus vanellus) and other ground nesting birds, in particular waders as the valley is a system of water meadows. Additional fieldwork during the summer included predator counts from high seats, assisting the wetlands team with radio tracking lapwing chicks, observing the GPS collaring of two foxes, and using tracking tunnels to identify footprints of mustelids and other small mammals using the valley. 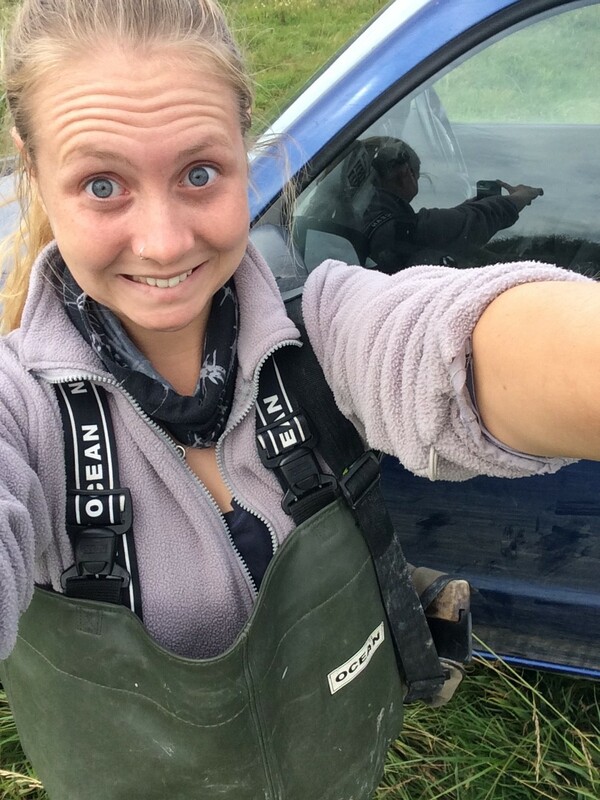 I really did get stuck in a river surrounded by cows, and inevitably punctured the waders a few times resulting in a wet bottom on numerous occasions. In spite of these mishaps I had an amazing time on my placement. I was very lucky to have spent my time in such an environment with knowledgeable and supportive staff, and hope that I will be able to put much of what I have learnt into practice in the very near future. Sounds like a great, if somewhat wet, place to do a placement!